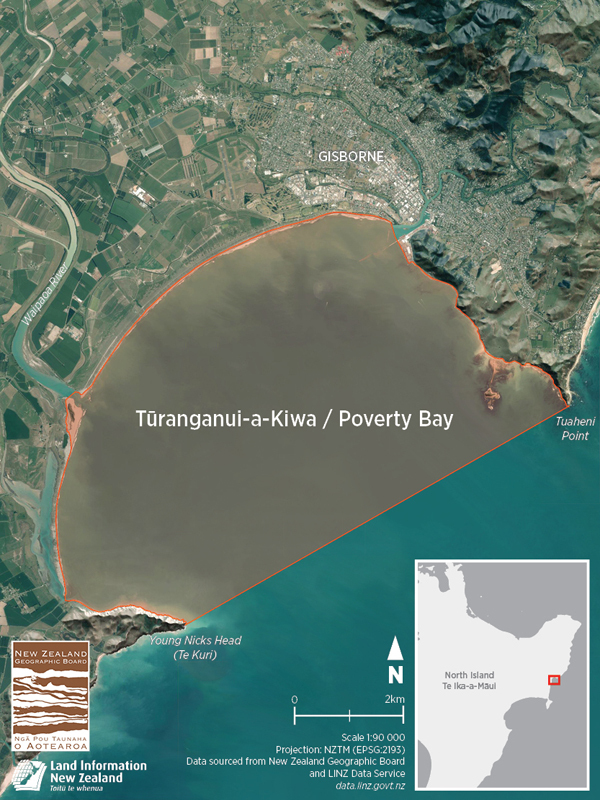 Recorded name Poverty Bay altered to an official dual name Tūranganui-a-Kiwa / Poverty Bay. Published in the New Zealand Gazette on 15 February 2019. A large bay on the east coast of the North Island, south of Gisborne (town), bounded on its seaward side between Tuaheni Point (NZTopo50-BG43 409034) to Young Nicks Head (Te Kuri) (NZTopo50-BG43 322985). Centred at NZTopo50-BG43 343033. See below for the reports considered by the NZGB.